Whether you've just landed an interview and are scrambling to prepare, or are taking a proactive approach to levelling-up your skills and getting market ready for future career moves, I'm here to help. 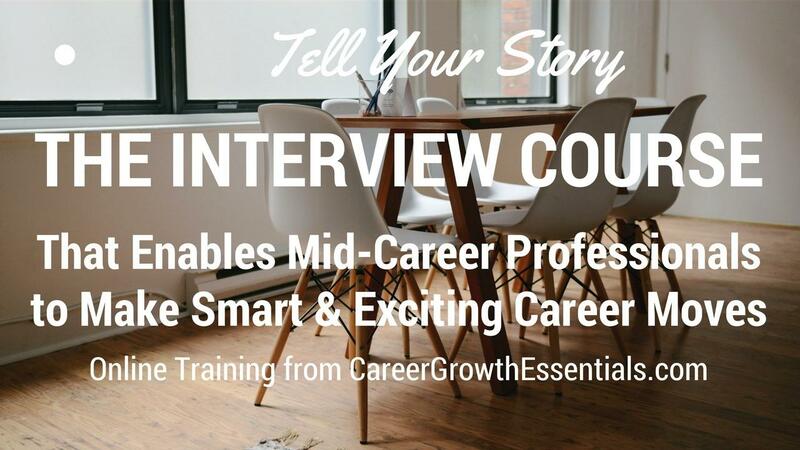 This course represents my deep knowledge and experience in the field and I've taken care to provide you with a learning resource that will transform your understanding of and performance in the interview. 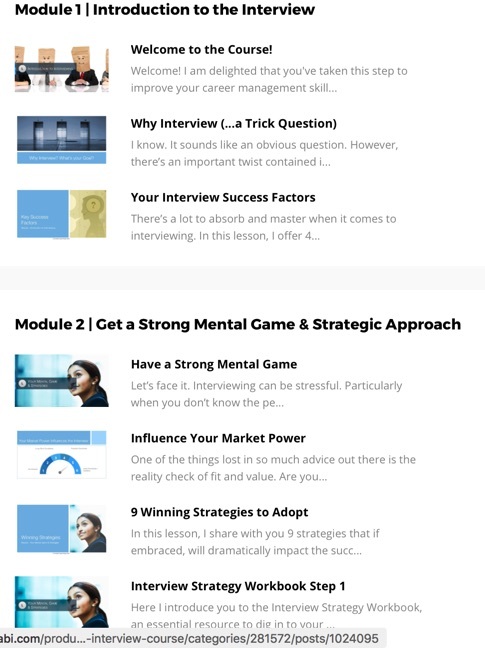 There's two screenshots below of part of the 9-module outline. 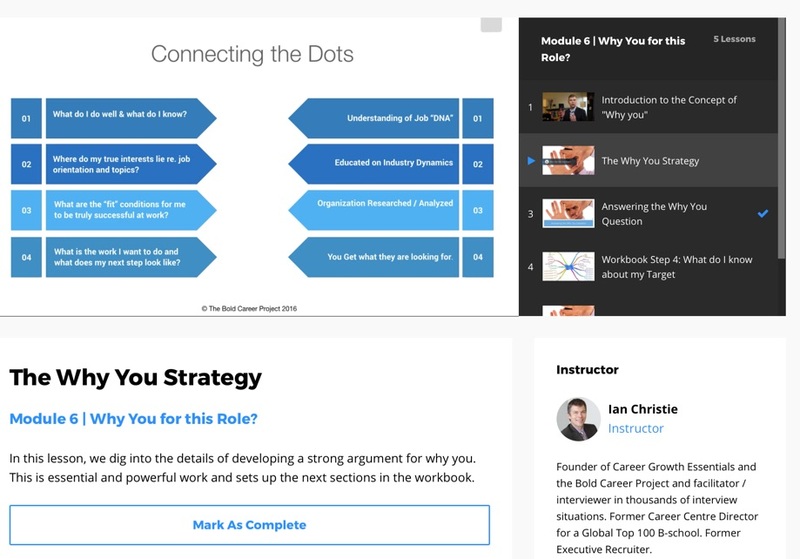 I've designed the course to be sequential, with step-by-step guidance on building your very own strategy. However, based on your situation and level of experience and knowledge with interviewing, you can pick and choose the lessons you need right now. 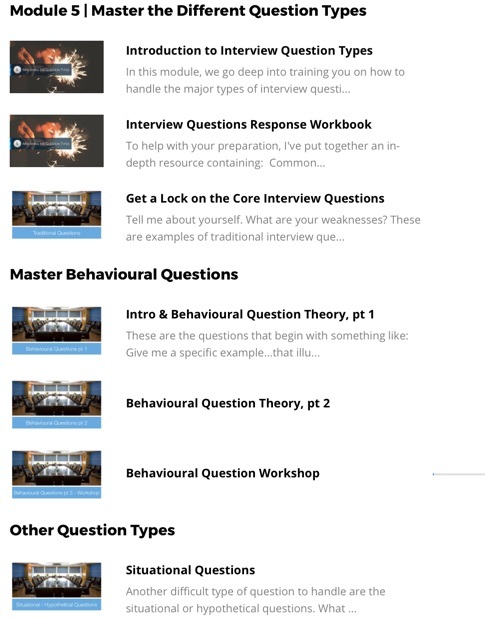 Here's a shot of Module 5, where you'll dig-in to learning about and developing your answers to key interview questions. And here's what it looks like inside the course. Is this the learning resource for you? If this sounds like a fit, I'd be honoured to have you join me. To sign-up and get immediate access, just follow the checkout link and see you on the inside. Lifetime Access: With the purchase of this course, you have lifetime access to this resource. Automatic Upgrades: As I make updates and improvements, you'll get automatic access. Course Updates: As I update this course you'll get automatic improvements and upgrades as long as you choose to stay subscribed or have access. Learn on Any Device - Mobile Friendly! : All of our courses are responsive which means you cann learn on your laptop, on a tablet or on your phone. Progress Tracking: The platform tracks your progress so you'll know exactly where you left off and what you've accomplished. Learn at Your Own Pace: Your learning shouldn't get in the way of your busy schedule. You'll have 24/7 access for as long as you choose to stay subscribed. This means you can learn on your own time at your own pace.